In this Investment Trust Update we take a look at property focused launches in 2017, the impact of Brexit on the UK property sector, the best performing trusts with global mandates and the crash of Woodford’s first investment in the Woodford Patient Capital Investment Trust. Has the ‘Brexit exit’ already begun? This update looks at the London based banks moving to Europe. With this exodus from bankers, should investors be concerned? This week’s news update looks at the asset management industry’s confidence in the PM, the worrying fallout in iPhone sales and the Fed’s dismissiveness of economic weakness. WTI crude prices jumped 8.6% last week after inventories showed signs of falling. As we enter the six-month mark for 2017, Asset TV’s Jenny Hammond looks at what’s been leading the new agenda and what to consider moving forward. 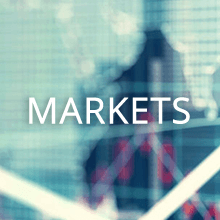 Topics this month include: Macron’s victory in the French elections, worldwide cyber breaches hitting NHS services across the UK and the outlook for markets in June. Alex Tedder, Head and CIO of Global and US Equities, explains how Donald Trump's policies could affect global stockmarkets in 2017. No matter the outcome of Trumponomics or Brexit negotiations, the major factors that define global financial markets are changing, and markets haven’t priced it in. This news update looks at the Macron victory, wealth jumps post-Brexit boom, job losses from the Aberdeen merger and the capitulation of oil prices. After Trump fired his FBI chief, fuelling political uncertainty, is more political instability on the horizon?